We are manufacturer of industrial paints and coatings for various surfaces. We are doing Hard Chrome Plating on ABS Plastic Parts . Our company holds immense experience in this domain and is involved in offering service of Hard Chrome Plating Service (Hard Chrome Plating For Dies). - Combination display basket ideal to hold apples, oranges, and other fruit, but it features an attached banana hanger for added convenience and appearance! - Hanger encourages guests to pull off one banana, reducing the amount of touching while also preventing excess bruising! serving the customers with the richest experience of 25 years. At Valsad district Volume wise & Capacity wise, we have highest capacity with GPCB consent. Expansions & Developments are always held to meet the best quality. Maximum Job holding capacity(Approx) : ø1800 mm & 5300mm Long. Hard chrome plating is an electroplating process in which chromium is deposited from a chromic acid solution. Thickness of hard chrome plating ranges. 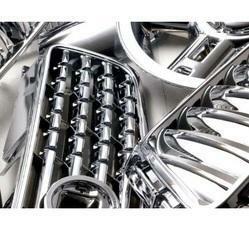 We provide Hard Chrome Plating Of Spirals Having Intricate Shapes to our clients. Spiral spiders having smaller holes and corners are hard chrome plated with efficient techniques and process. 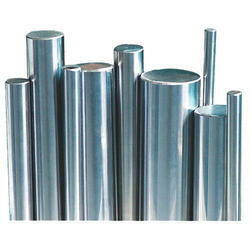 We are engaged in offering Hard Chrome Plating On Tie Bars. The fine grain chromium structure protects the engraved copper deposits and the cylinder from wear caused by paper and grit abrasion under normal conditions during press runs of any length.